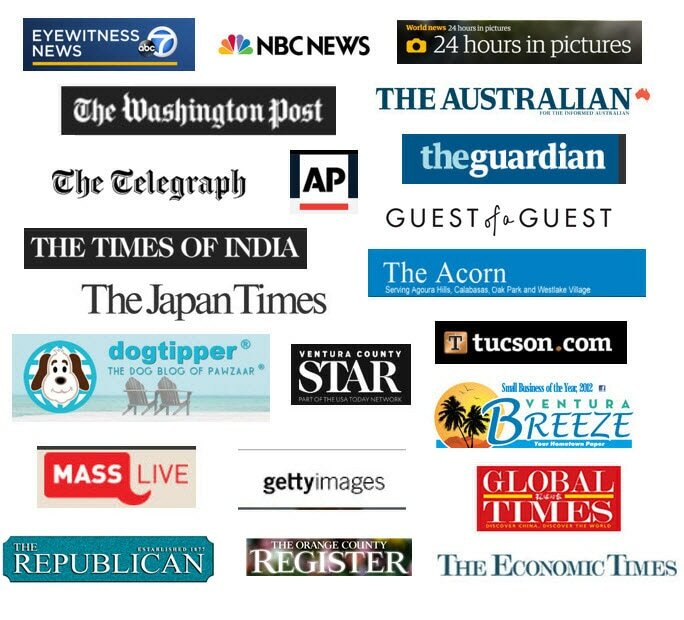 Landon has been featured in news articles and photos that have been published in news sources from around the world, including those mentioned below. Coverage has focused on Landon's modeling and acting; his educational platform with the Boys & Girls Clubs; his community work involving animal rescue organizations, hospitals, and hospice care centers; and his support of health and wellness issues and animal-assisted therapy. Landon is a big supporter of animal rescue organizations, especially Southland Sheltie Rescue (by which he was rescued) and the Amanda Foundation (whose fundraiser fashion show was where Landon was "discovered"). The following slide show includes Guest of a Guest press photos from the Amanda Foundation's 2012 "Bow Wow Beverly Hills" October event, which took place on Rodeo Drive in Beverly Hills, CA. Landon was a special guest at this event, wearing his fancy Halloween outfit. Landon seemed to like socializing with the attendees (both human and canine). The images in the slide show below appeared in a variety of publications and websites. The Associated Press (AP) and Getty Images photos appeared in many publications, since the photos were available "on the wire." 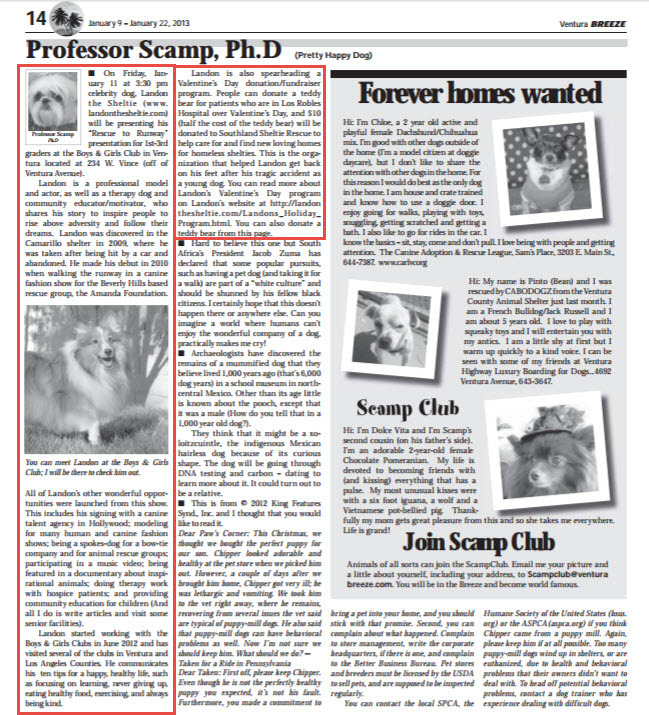 The short articles included in this slide show appeared in the Ventura Breeze newspaper, in which the editor's dog, Scamp, has his own column. Scamp attended Landon's educational session at one of the Boys & Girls' Clubs of Southern California, and the two dogs became friends. 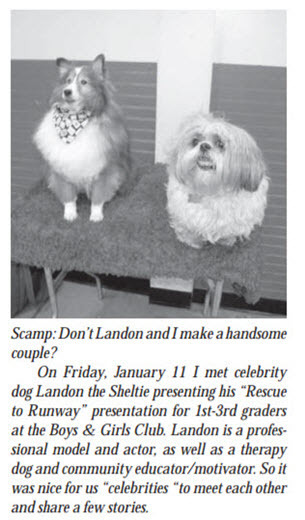 As such, Scamp likes to mention Landon's activities in his column. Several feature and news articles have been published about Landon's modeling and acting activities, as well as about his educational platform at the Boys & Girls Clubs, and his other community support activities. 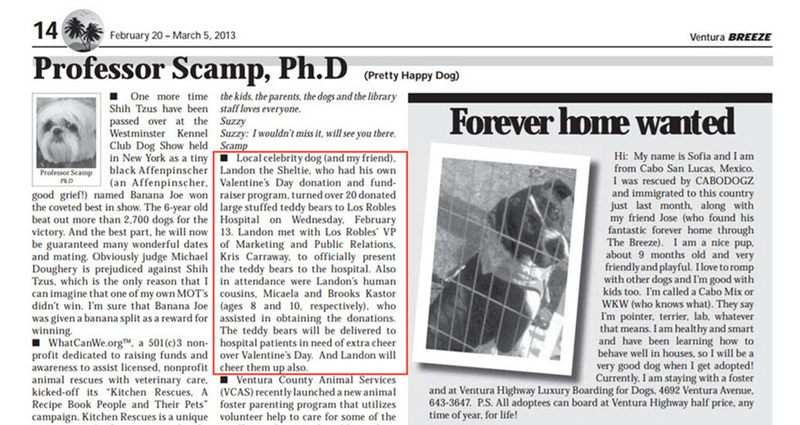 One of Landon's feature articles was even headline news in an issue of the Ventura County Star newspaper (see below). To view the published articles, click on the PDF or JPG links provided below. "Landon Getting a Reiki Massage"
​and Tucson.com's Animal Shots of the Week. "Rescue Sheltie Struts Stuff to Help Others"
"Boys and Girls Club Chaparral Meet a Star!" "Local Pup is Wellness Ambassador"